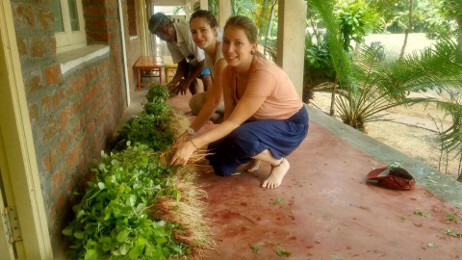 The 2nd November 2018 is a day that the team at Sharana have been working up to for months. From across all of Sharana’s programs, they have carefully selected 15 mothers from urban Puducherry and 10 mothers from the rural area of Angalakuppam. The selection process was rigorous, requiring the social workers to conduct multiple, extensive interviews with the women (all of whom are mothers of Sharana’s beneficiaries) in order to evaluate the viability of their plans. The team was presented with a range business proposals; those selected displayed considerable motivation, dedication and entrepreneurial spirit. 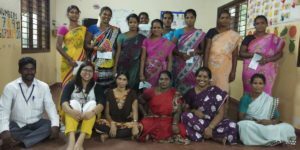 After finalising the list, the women were invited to a training in October, hosted by Ms. Thilagavathi (an expert in business management). 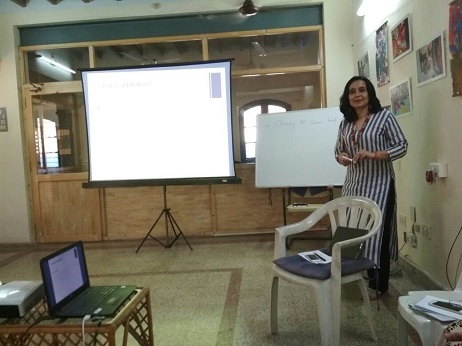 Ms. Thilagavathi spoke to the women about financial management, the “do’s and don’ts” of dealing with customers, as well as business tips. 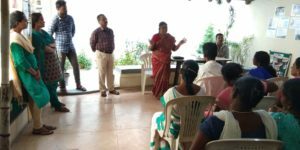 During the trainings (one conducted at the main office for those from the urban areas, and one in Angalakuppam), the women also had their queries answered. As their worries melted away, confidence and excitement filled the air as the reality of this opportunity sunk in. On the day of the launch, the women from the urban areas were invited to the main office. 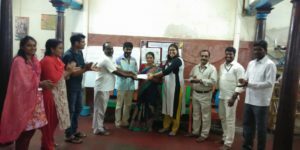 Each was given a cheque and requested to sign an agreement statement, in the presence of the relevant social workers, the team coordinator and Chief Finance Officer. 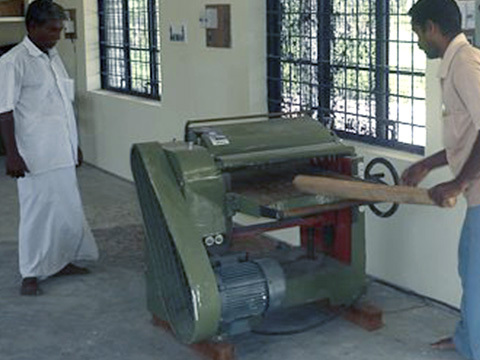 The same process was carried out in Angalakuppam. The day marked a time of change for the women, a chance to invest (not just in their businesses) but in their futures. This project has come to fruition through the support from Foundation Majany. Over the years that Sharana has been working with these women’s children, it has been clear that many of them hold untapped talent, having only been held back by their disadvantaged situations. However, to make this successful, it was necessary to take a gradual approach by first building strong relationships with the families, encouraging parental responsibility and nurturing a culture of self-reliance. In doing so, we have laid the foundations for more in-depth work with the mothers (and fathers) of our child-beneficiaries. 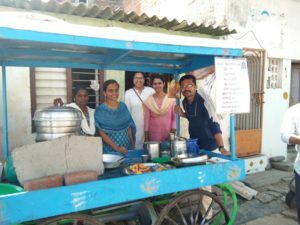 Now, by building their own social enterprises we expect to see a huge increase in both the women’s personal economic independence as well as their household’s financial security. With this we hope to dissolve the structures of dependency that undermine their agency — be that on their husbands, mothers and even Sharana. However, while we will take a step back to empower the women to take control of their businesses, Sharana’s social workers will continue to provide motivational support, to work with their families, and to monitor the progress of their enterprises. This program plays a large role in our exit policy. By investing in our child beneficiaries’ mothers, we aim to create more stable home environments. 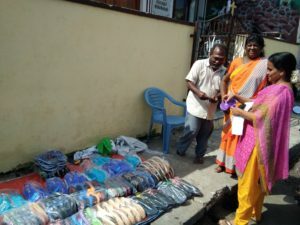 Moreover, by supporting local businesses that are run by women, Sharana will be helping the local economy grow, while also supporting female social and economic empowerment. All of these factors will improve the lives of our beneficiaries and those around them. 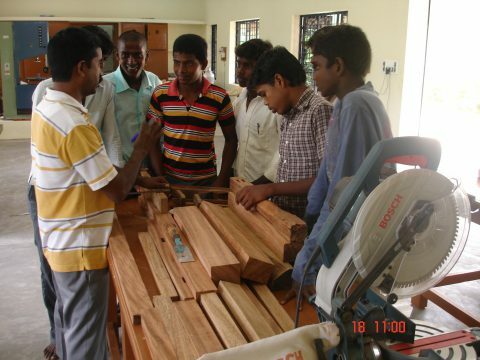 Eventually, this sustainable model of development will enable Sharana to move out of these areas — once the families and communities have reached a satisfactory level of self-sufficiency so that we are able to, in turn, support other communities. This exciting step for Sharana. We look forward to the development of our Women’s Social Entrepreneurship program as it engenders positive change in both the short-term and the long-term, improving the circumstances of individual beneficiaries, their households and their communities.